What happens to a restaurant that tries to please everybody? Strangely enough the exact same thing that happens to other companies that try to please everybody. Ameego is no exception. During the early years at Ameego we knew we wanted to create software for the restaurant industry. Everything we did from the onset was geared towards solving the challenges we ran into while we were working at restaurants. As our company grew and started bringing on new clients it was a very exciting time, but also one that tested our focus. Companies from other industries including healthcare, manufacturing, travel, and retail, all started approaching us to help them solve their scheduling and workforce challenges. And when you’re a startup company with limited financial resources as we were, you have many conversations about whether or not you should help these companies. We even started working with retail giant Staples Business Depot, because the opportunity was fairly enticing to a small startup like ours. I mean, who wouldn’t at the very least consider the opportunity of working with 3,000+ locations? The primary challenge was that even though the companies that were approaching us from other industries had a similar problem (scheduling), there were some key differences in the way that they scheduled their employees. To help accommodate these differences we’d have to spec out significant projects, do customized design work, and start adding things to the platform that didn’t make a lot of sense. With 100% assurance, this statement is accurate and rings true in the restaurant industry as well. Even though customers are coming to your restaurant to eat, they all have different requirements. For example, let’s say you have a restaurant that provides an intimate fine dining experience along with a dress code and high priced menu items. A standard destination for business professionals, anniversary celebrations and couples out for a romantic evening. If a young family with 3 kids including a newborn baby wanted to eat at your restaurant, you’re most likely not able to provide the same level of service as your typical clientele. You could make an exception, but at what cost? Even though you might make a small profit, doing so would likely hurt the experience of your existing customers and could damage your relationship with them and future business long term. As I mentioned earlier we only service the restaurant industry, which means we have a lot of people calling that end up very disappointed we won’t help them. Now it’s not that we don’t want to help them. It’s just that we don’t have the proper product or level of expertise that could benefit them the way we can with the restaurant industry. We have a passion for helping restaurants because of the connection we have from our days working in the industry. We also have an intimate knowledge and understanding of the challenges restaurateurs face and the solutions to help solve their unique problems. 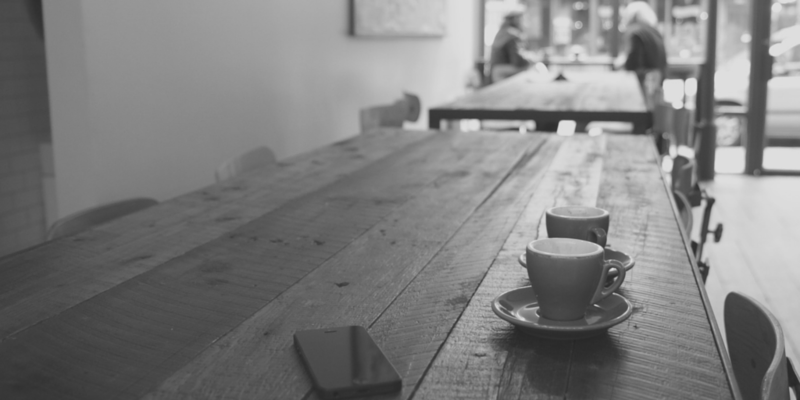 It’s not easy making a conscious decision to turn away potential business. To steer someone asking for your help in another direction. But sometimes it’s the best thing you can do if you want to be successful. How many items do you have on your menu? Is it mainly American cuisine? Italian? or Asian? Or do you cover all the bases with several dishes from every continent? Having a menu that is several pages long with over 300 menu items might seem like a great way to service everyone’s wants or needs. However, unless you own a buffet or have an arsenal of well versed kitchen staff that can properly execute on the menu, you’re making it very hard on yourself. Hard to deliver quality food, hard to keep your the guests happy, and most importantly hard to be successful. In addition, you’ll need more food inventory and more ingredients to make the various dishes which increases your risk of spoilage and lost profits. 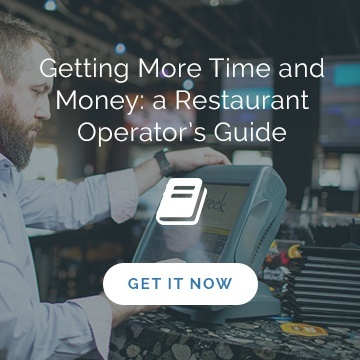 At Ameego we sell restaurant scheduling software. We don’t sell healthcare scheduling software. We don’t offer manufacturing scheduling software. 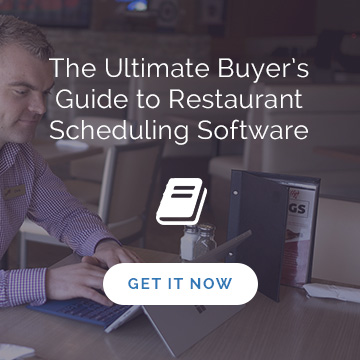 Only restaurant scheduling software. It wasn’t always so easy to say, but now it’s a no brainer. And once we made this distinction we started to see a number of positive changes beginning to take place in our company. Our clients were happier because we were able to spend more time on their specific needs which in turn provided them with more value. Our team was happier because they weren’t being pulled in 20 directions trying to learn how to sell and service a continually expanding product set. Once we regained focus on what we initially set out to do, life was better for all parties involved. Not everyone is going to be happy with your decisions. Not everyone is going to agree with the menu you’ve created, the fact that you use frozen french fries instead of fresh or appreciate the color of the seat cushions you’ve chosen. And that’s ok! Regardless of all that there are people that love the choices you’ve made. Focus on those guests that do, embrace them and provide them with the best service possible. Service them well and more like them will come!